Good digestion begins with eating real, whole, natural foods. Minimize the use of foods from jars, boxes, bags and cans. Dip some fresh veggies in a tablespoon or two of hummus. Lots of good stuff for your body, loads of flavor for your taste buds and a bit of needed protein to fuel your body! Try some of these veggies for dipping. Zucchini, celery, carrots, broccoli, cucumbers, snow peas, cauliflower, bell peppers, or grape tomatoes. 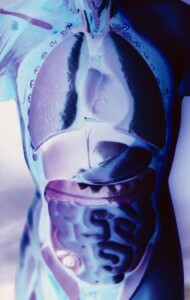 *Over 10% of our population suffers with some kind of digestion problem.